As we’re now a few weeks into 2019, it’s time to keep working towards our resolutions – whether they be saving money or exercising more. For seniors, getting regular physical activity can be difficult, particularly with added body aches or health issues. To help, here are some tips to help you get up and moving. 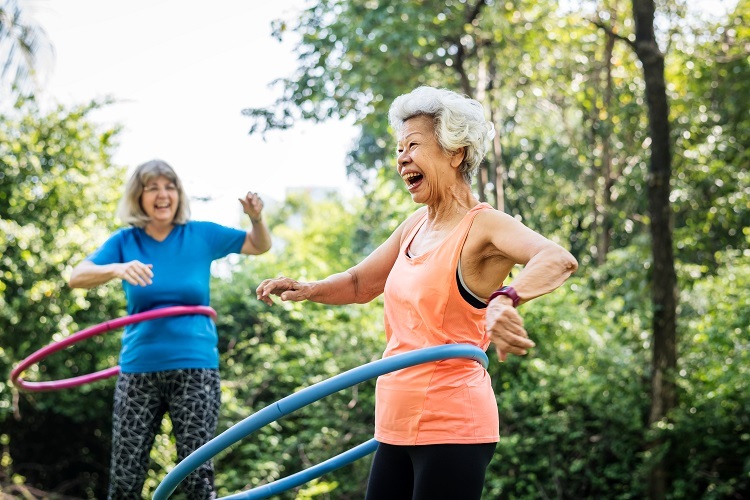 According to Queensland Health, adults aged 65 and over should be doing approximately 30 minutes of moderate physical activity most days, or if possible, every day. Rather than doing these 30 minutes all at once, try completing three 10-minute sessions. It’s important to remember everyone has their limits, so start slowly and gradually add more exercise into your routine. Not only is physical activity beneficial for your health and body, it’s also good for your mind. Other benefits include assisting with weight management, improving bone health and reducing the risk of falls and fall-related injuries. For some people, finding motivation to exercise is the reason they struggle to get started. Just the thought of running or cycling can be daunting so to help, here are a few exercise ideas from Queensland Health. Remember to check with your regular GP for more information about how much exercise you should be doing.